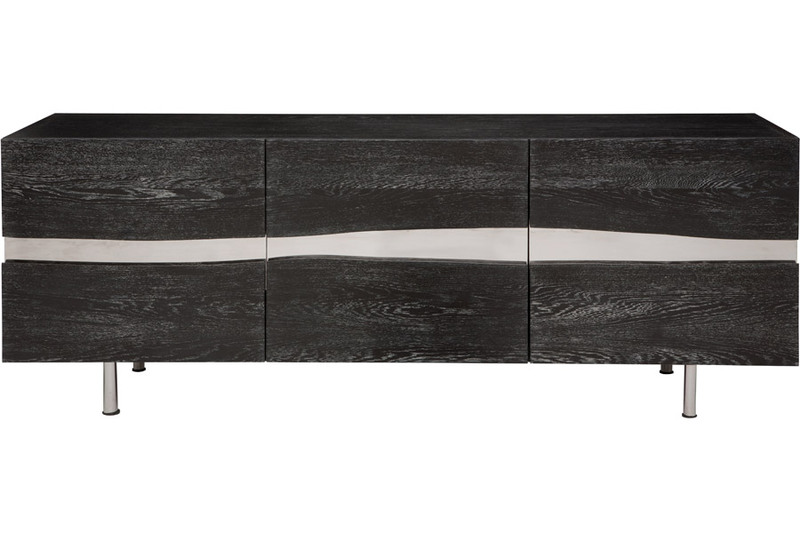 A truly striking piece, the Sorrento Buffet incorporates nature's lines into a sleek, modern design. 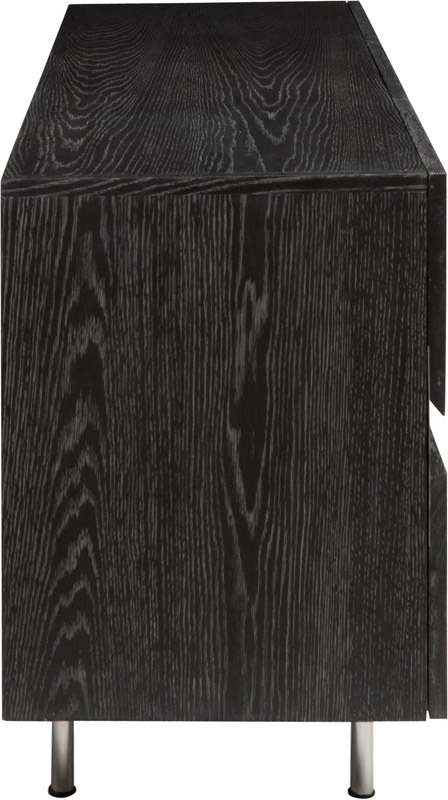 Each of Sorrento's three doors incorporates two "live edges" around a stainless steel panel. 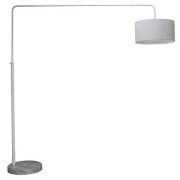 The result is an eye-catching blend of natural and industrial, mid-Century and modern. 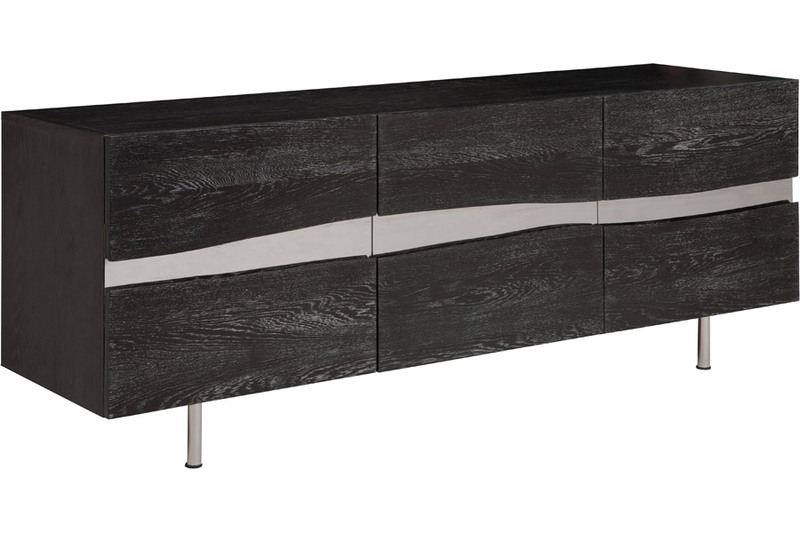 Designed to commercial standards, the Sorrento Buffet boasts a stained Oak cabinet supported by chrome steel legs. 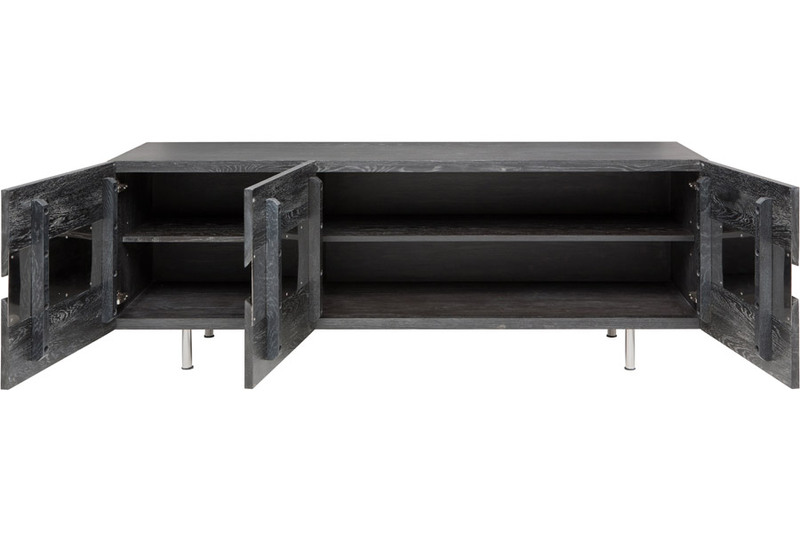 The larger right compartment includes two adjustable shelves (one pictured), and the smaller left cabinet includes one adjustable shelf. 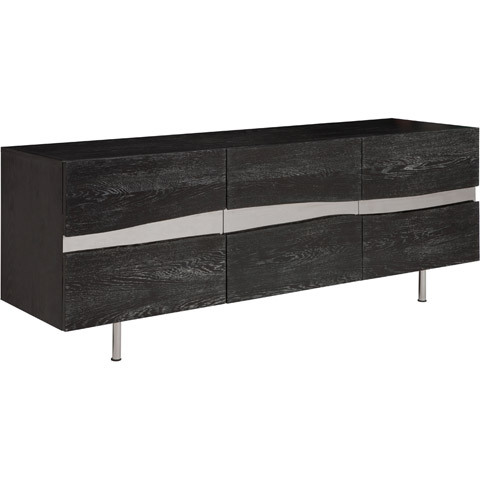 Available in two sizes and finishes to compliment your modern space!